The Groundcare Centre is one of the UK’s leading suppliers of lawnmowers. 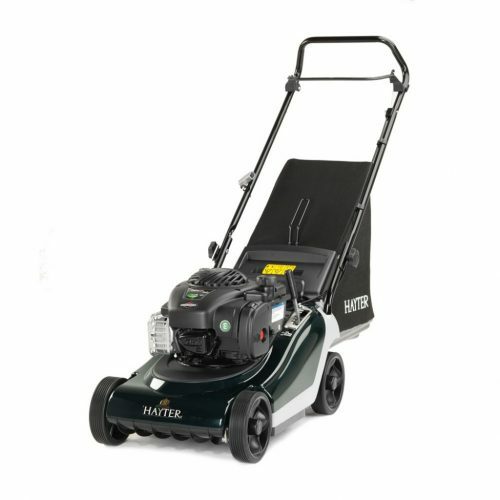 With a wide range of models to suit your needs and your budget, we have exclusive offers both online and in our store with our dedicated service engineers on site as well to make sure any lawnmower that leaves our hands is in perfect condition before delivery. Delivery is FREE to the UK mainland and your choice of mower will be with you super fast. 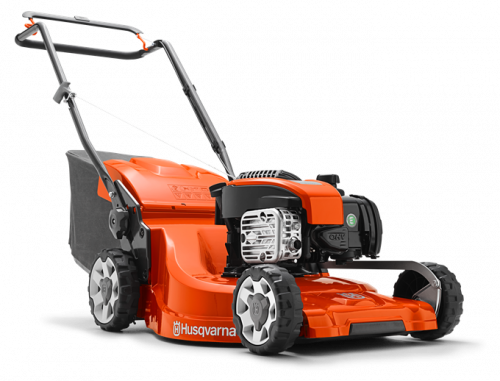 We guarantee our discounted deals on our lawnmowers are the best you’ll find as we price match daily against other stores! We have 100+ Petrol Lawn Mowers in our range including hover, cylinder, rear roller & four wheel rotary models as well as cordless / battery powered lawn mowers: electric powered lawn mowers without the hassle of the cord! 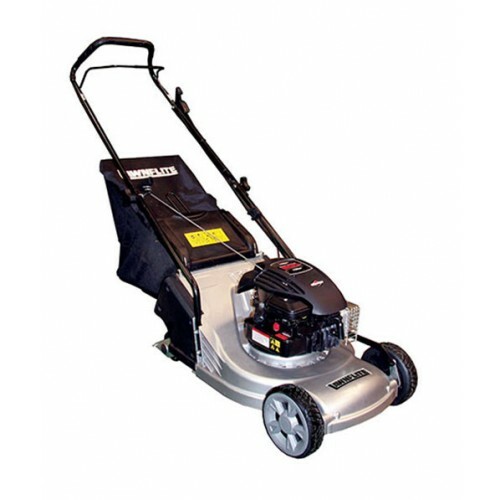 This Hand Push Cylinder Mower features a cylinder blade cutting system and 5 Helix-carbon steel blades. The easy action cutting height can be adjusted from 10-40mm and the rear width roller provides stripes on the lawn, helping you to achieve the exact lawn finish you desire. 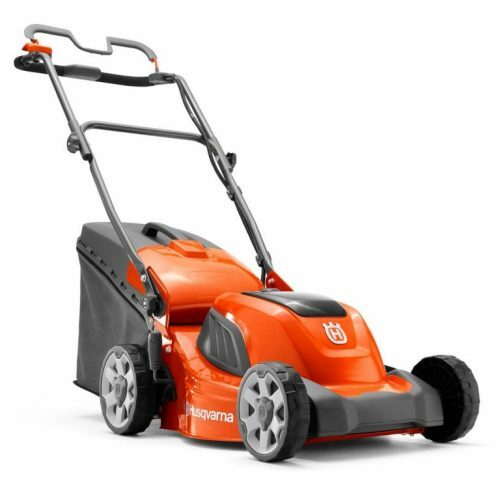 The mower has an upswept handle style with soft top handle grips for comfort and ease of use, and a front grass collector box with a capacity of 15 litres. 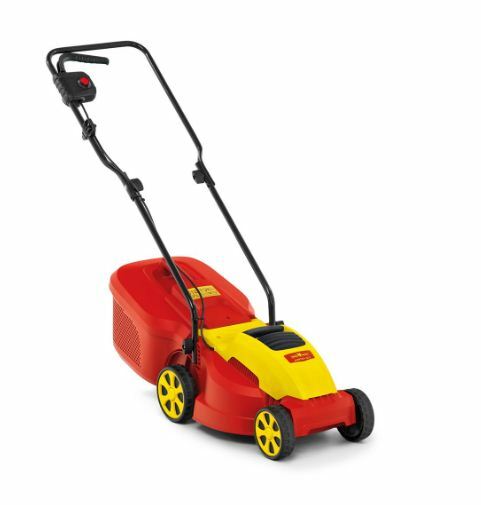 This 1000W Electric Select Lawn Mower has a plastic chassis and single wheel 3 step cutting height adjustment from 20-60mm, allowing you to achieve the exact lawn finish you desire. 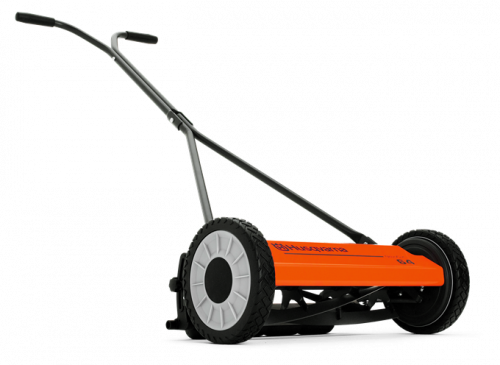 At just 12kg, this lawn mower is lightweight and extremely manoeuvrable. It is operated by a one hand switch and has a grass bag capacity of 30 litres. 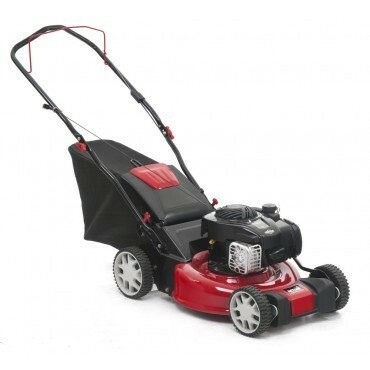 This 1400W Electric Select Lawn Mower has a plastic chassis and single wheel 3 step cutting height adjustment from 20-60mm, helping you to achieve the exact lawn finish you desire. 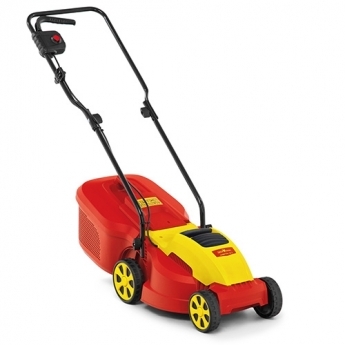 At just 14kg, this lawn mower is lightweight and extremely manoeuvrable. It is operated by a one hand switch and has a grass bag capacity of 40 litres. 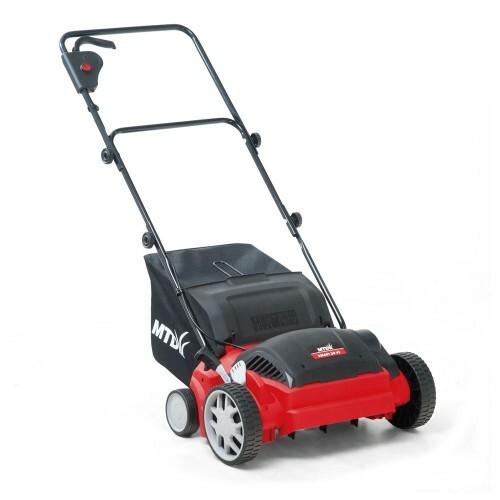 This 1200W Electric Lawn Mower has a plastic chassis and single wheel 3 step cutting height adjustment from 20-60mm, helping you to achieve the exact lawn finish you desire. 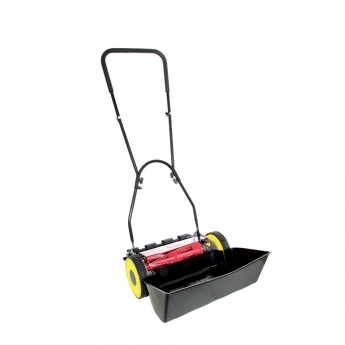 At just 10kg, this lawn mower is lightweight and extremely manoeuvrable. It is operated by a one hand switch and has a grass bag capacity of 26 litres. 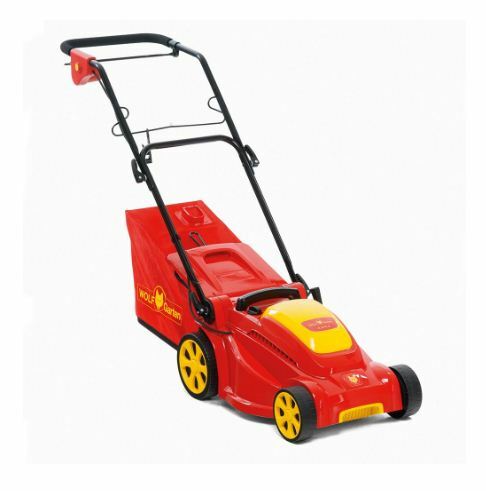 The S30VE-KIT is a 1200 watt, electric scarifier and is especially suitable for smaller lawns with its 30cm working width. it is extremely robust, very comfortable and easy to handle. Scarifying is a great way to revive your lawn and by combing through your lawn removing moss and weeds, you leave a healthy lawn ready for growth. The Smart 30VE-KIT includes S30VE and a 20m electric cable. 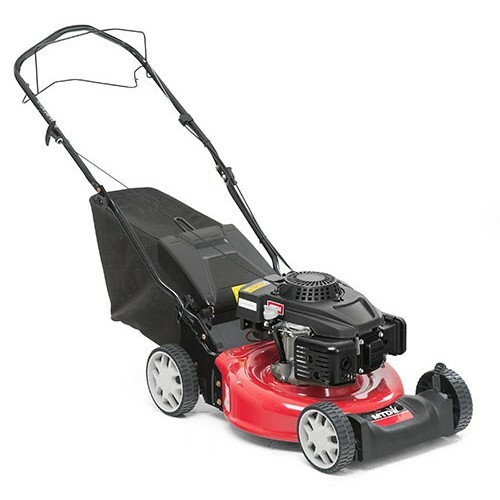 This 1400W Electric Lawn Mower has a plastic chassis and central 6-step cutting height adjustment from 25-75mm, helping you to achieve the exact lawn finish you desire. 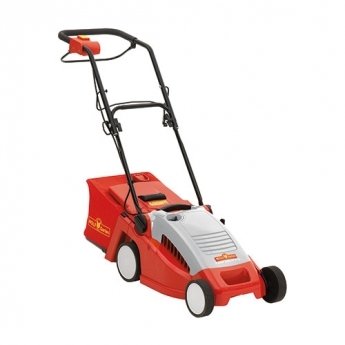 At just 14kg, this lawn mower is lightweight and extremely manoeuvrable. It is operated by a bail arm switch and has a grass bag capacity of 30 litres. This model features the WOLF-Garten Cut-Collect-Mulch (CCM) system which saves time and effort as the collection bag doesn’t need to be emptied and the grass clippings provide the lawn with moisture and valuable nutrients. It also has an Advanced Cut & Collect (ACC) system which generates a strong airflow to straighten grass stems before cutting, ensuring an even cut and efficient clipping collection. 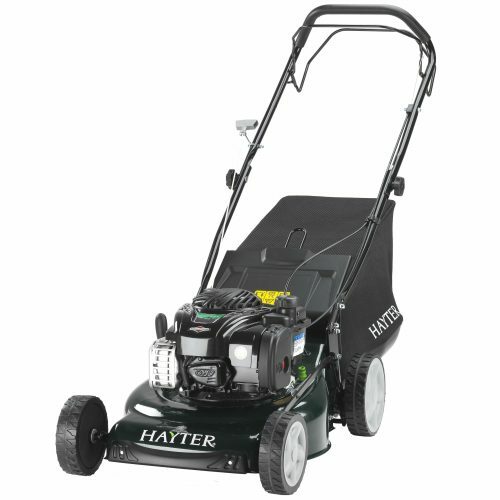 With a lightweight, high-impact plastic deck for robustness and low-effort manoeuvrability, this mains-electric machine is competitively priced and conforms to all of Hayter's stringent quality-standards. Free yourself from the restrictions of a potentially hazardous mains-lead and go anywhere in your garden with the petrol-driven lawnmower from MTD. Powering it is a high-specification 2.3hp (123cc) MTD ThorX 35 engine, which exploits the latest overhead-valve technology that delivers a marked decrease in fuel-consumption; sound output; vibration; and exhaust emissions when set against a comparable side-valve unit. MTD’s easy-pull recoil ignition-system ensures low-effort pull-starts. The MTD S42PO Petrol Push Lawnmower offers both rear-discharge and collection as standard, so long and short grass can be tackled with equal confidence (the bag capacity is a substantial 60-litres). Should you wish to recycle your clippings and at the same time nourish the turf, you can work with the optional mulch-plug fitted. Giving you the choice of six heights-of-cut (28-92mm), adjustable via just two levers, the MTD S42PO can be quickly set-up to suit the nature of the application and prevailing weather conditions. A heavy-gauge steel cutter-deck contributes the machine’s strength and durability; while a fold-down handlebar ensures it will take-up very little space in your shed or car boot. This model has a very compact 42cm cutting-width; ideal for small, obstacle-packed lawns. 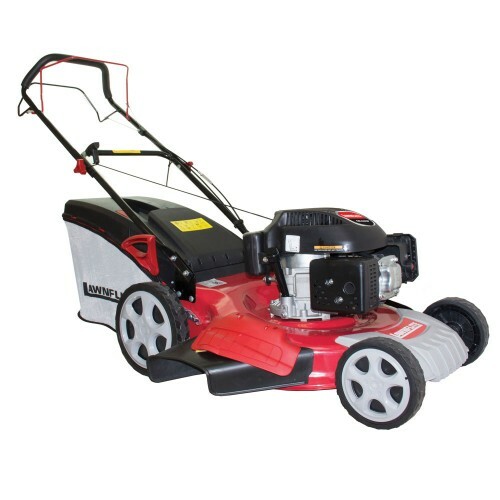 Consign your mains-driven lawnmower to the scrapheap and enjoy unrestricted movement around your garden with this well-appointed petrol-powered machine from MTD. 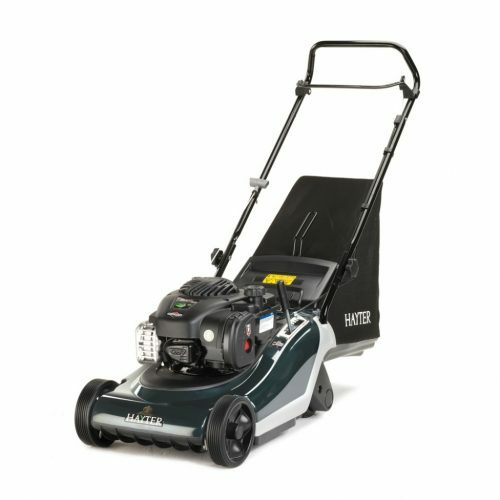 Power for the MTD S46PO Petrol Push Lawnmower is delivered by a 123cc (2.3hp) MTD ThorX 35 engine; a four-stroke unit with an OHV configuration that works to greatly reduce harmful exhaust-emissions; vibration; noise; and fuel-consumption. Starting requires minimal effort thanks to MTD’s easy-pull recoil ignition. The MTD S46PO offers both bagging and direct rear-discharge as standard; and mulching as optional, so you’ll have no trouble managing changing grass-types. MTD’s provision of a six-step cutting-height (28-92cm) contributes further to flexibility-of-use (adjustments are simple to make using only two levers). The heavy-gauge steel chassis on the MTD S46PO benefits from very little welding and a powder-coated paint finish; a combination that confers superior rust-resistance. A hand-propelled mower, the MTD S46PO will prove far easier to guide around obstacles and along borders that a similarly sized power-driven machine. Ideal for areas up to around 600m2, this 46cm-cut model also features a space-saving foldable handlebar. 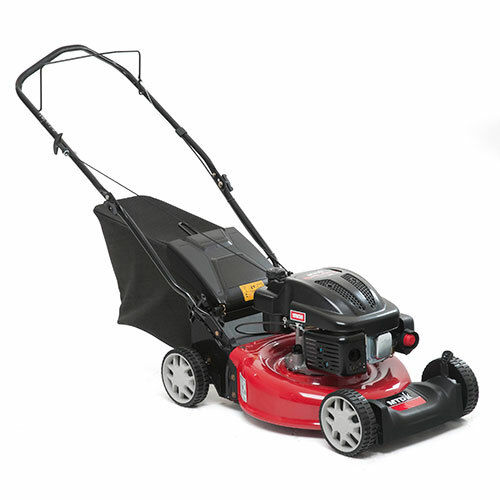 This 1600W Electric Lawn Mower has a plastic chassis and central 6-step cutting height adjustment from 25-75mm, helping you to achieve the exact lawn finish you desire. This lawn mower is lightweight and extremely manoeuvrable. It is operated by a bail arm switch and has a grass bag capacity of 40 litres. 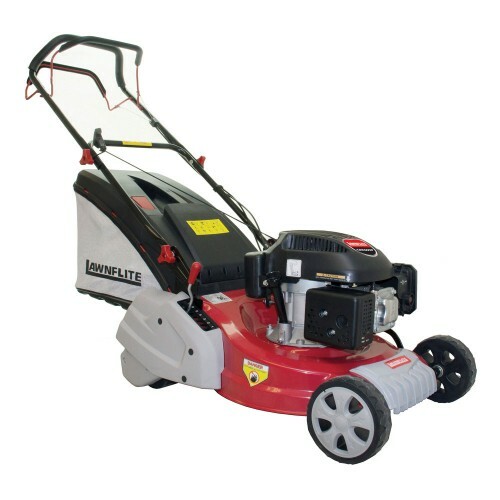 This 1800W Electric Lawn Mower has a plastic chassis and central 6-step cutting height adjustment from 25-75mm, helping you to achieve the exact lawn finish you desire. This lawn mower is lightweight and extremely manoeuvrable. It is operated by a bail arm switch and has a grass bag capacity of 45 litres. 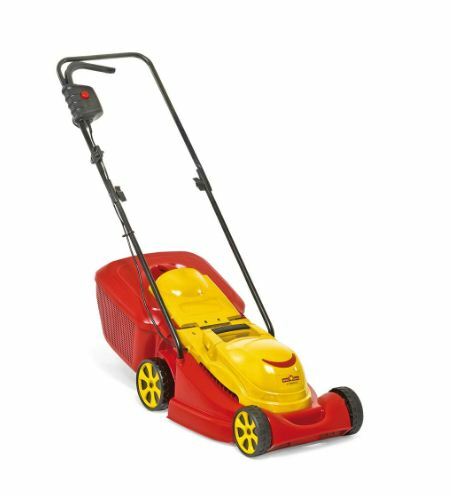 This 1400W Expert Lawn Mower features 4-in-1 functions: cutting, collecting wet or dry and mulching. The patented Triplex System® guarantees the absolute filling of the 35 litre collecting bag. During mowing, the clippings are sucked in by a heavy flow of air, created by the rotation of movement of the precision blades. 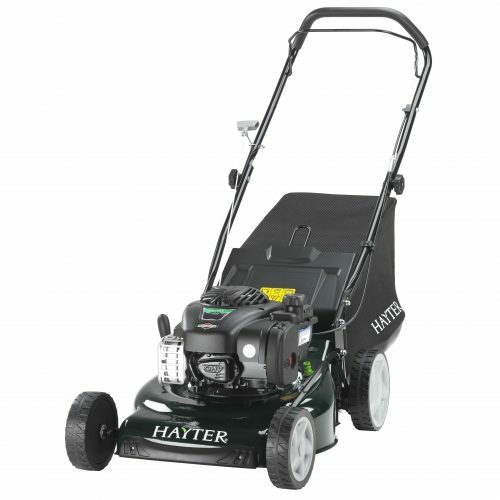 Designed for British lawns, this premium petrol rotary-mower from trusted UK brand Hayter offers quality engineering at an undeniably attractive price-point. Providing the power is a 125cc Briggs & Stratton 450E-Series engine that offers best-in-class performance; and which utilises the market-leader's acclaimed OHV (overhead-valve) technology for superb fuel-economy with reduced carbon-emissions and smooth, low-vibration operation. B & S’s Lo-Tone muffler dampens engine-noise so as to make the job less headache-inducing; while their provision of a mechanical governor means more usable power is summoned-up when the going gets tough. Highly adaptable and capable of managing a wide variety of conditions and grass-lengths, the Hayter Osprey 46 Push lets you choose from three mowing-modes - collection; mulching and rear-discharge. It also has seven preset cutting-heights adjustable from 25-70mm using just the one lever. 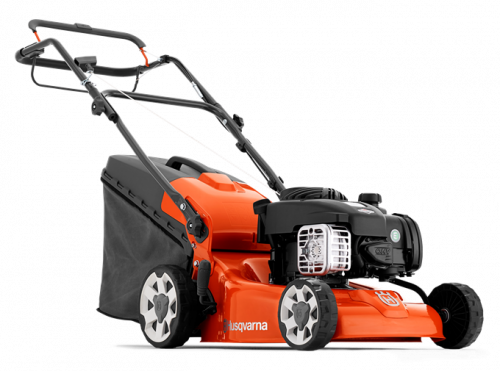 The mower comes with a downtime-minimising 55-litre grassbag, which lifts through the handlebar for simple removal and attachment; and it’s based around a strong and long-lasting steel cutter-deck that will easily cope with any accidental impact. Other key features include a foldable handlebar for convenient storage and transportation; ball-bearing wheels that ensure it will remain easy to push with age; and a hosepipe link that makes under-deck cleaning a hassle-free job. Compact and stylish, the Spirit 41 Electric is lighter than the equivalent petrol models so offers great manoeuvrability. 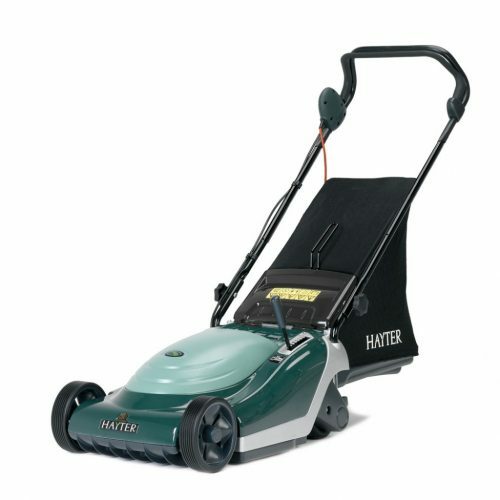 It leaves a superb cut and a fine striped finish to any lawn. The Spirit 41 Electric has the same revolutionary lightweight aluminium skeleton chassis and tough high impact ABS polymer construction as the petrol models. The 1500W long life induction motor provides a quiet and smooth performance. The CR48SP is the a self-propelled lawnmower with a 48cm / 19”cutting width and a powerful 196 cm3 Loncin engine. The self-propelled drive system makes light work of mowing at a comfortable 3.6km/h and covering a 1000m2 in an hour. The 4-in-1 system allows you to discharge the grass clippings out of the back, collect the grass clippings in the large 60 litre grass bag, discharge the clippings out of the side or mulch the grass clippings using the mulching kit. 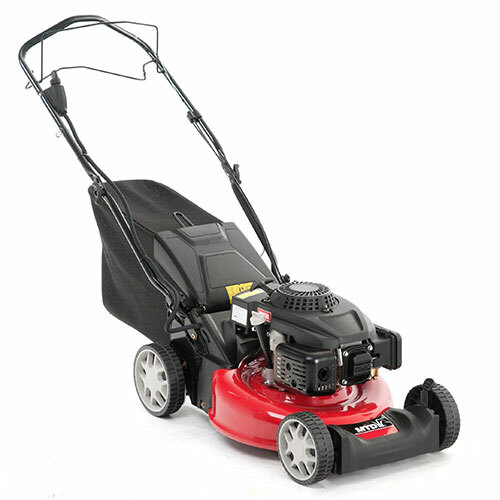 Cutting performance and comfort in a fully equipped lawnmower. MTD's S46SPOE mower is designed for use on medium-sized areas and ideal for gardeners looking to upgrade from an electric machine for the first time. The MTD S46SPOE comes powered by a high-performance 2.3hp (123cc) MTD ThorX 35 engine that eschews the old-fashioned side-valve design in favour of an overhead-valve configuration. This brings numerous benefits, including improved fuel-economy; reduced emissions; and less noise and vibration. Starting is via a low-effort recoil-type ignition system. Boasting a self-propelled transmission, the MTD S46SPO will take inclines and areas of rough, tussocky grass in its stride. It offers six preset blade-heights (28-92mm), which can be speedily selected using just the two levers; and is has a rugged steel chassis at its heart, so you can be sure you’ll get season after season of unfailing service from your purchase. Giving you the choice of bagging; rear-discharging; or mulching your clippings with the optional mulch plug; the MTD S46SPO Petrol Self-Propelled Lawnmower has a cutting-mode for every eventuality. Fold-down handlebars work to maximise available space in you storage area; while large diameter drive wheels aid both traction and turning. This model is supplied with a roomy 60-litre grass-catcher that ensures interruptions for emptying will be few and far between. 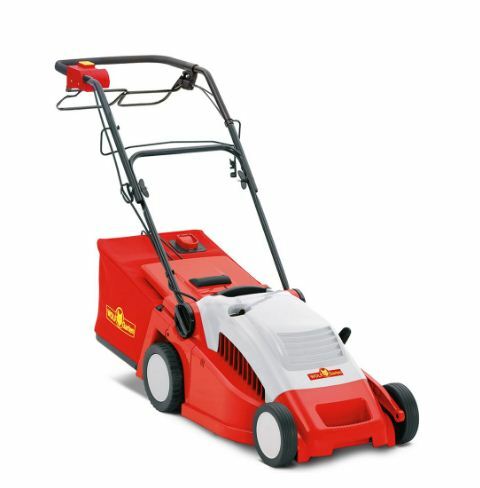 This 1500W Expert Lawn Mower features 4-in-1 functions: cutting, collecting wet or dry and mulching. The patented Triplex System® guarantees the absolute filling of the 35 litre collecting bag. During mowing, the clippings are sucked in by a heavy flow of air, created by the rotation of movement of the precision blades. 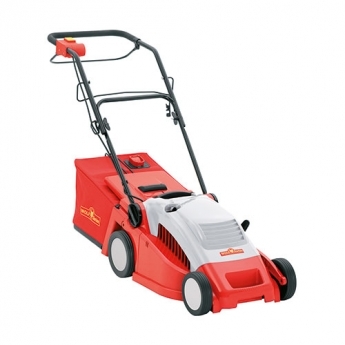 The LC140S lawnmower is designed with a Briggs & Stratton 450e series self-propelled engine. 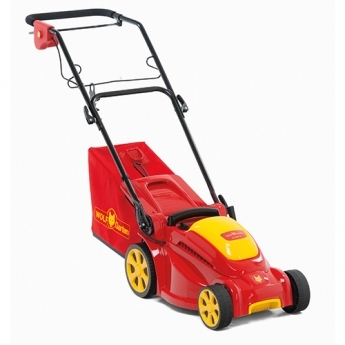 This high-quality petrol lawnmower is ideal for small to medium sized gardens. 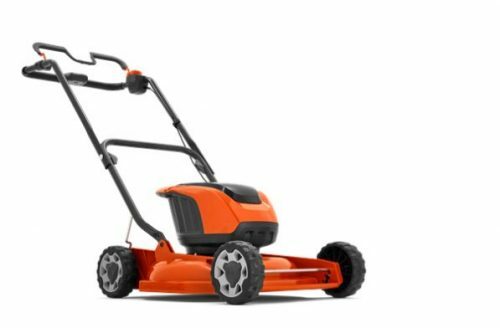 Featuring a larger 40cm cutting width this lawnmower not only offers excellent value for money but an excellent performance too. The Husqvarna LC140S boasts many features but is also very easy to operate and lightweight. The Smart 46SPOE self propelled lawn mower is the perfect model for gardeners moving from an electric model to a petrol model for the first time. It features a 46cm/18" steel deck and a powerful yet quiet MTD ThorX55 engine. Comes with a substantial 70 litre fabric grass collection box and also has the extra convenience of a car like electric key start. Two levers operate the height adjuster with six cutting positions, which are easy to change and allow you to adjust the cutting height in all conditions. With the Smart 46SPOE you have a choice to either bag the grass cuttings or discharge them. There is also an optional mulch kit available. Strong, lightweight aluminium skeleton chassis for all key mounting points including the engine, handlebar and wheels etc. 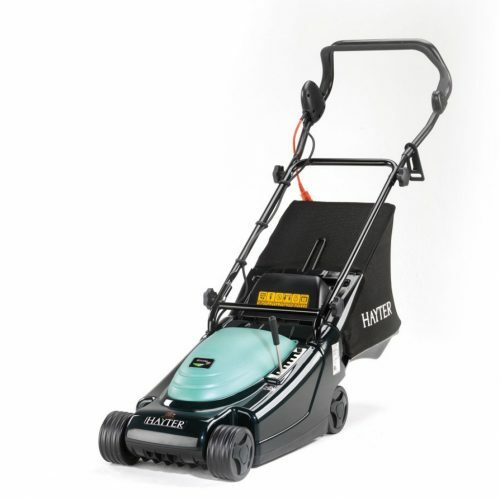 With its rear-wheel power-drive, three-in-one design and 46cm cut, the Hayter Osprey 46 AD will prove a great choice for gardeners looking for a low-effort way to manage a larger area of mixed grass. Powering it is a Briggs & Stratton 500E-Series engine; a punch-packing 140cc four-stroke motor with the market-leader’s fuel-saving and emission-cutting OHV technology; and their noise-dampening Lo-Tone muffler. This 1600W Expert Lawn Mower features 4-in-1 functions: cutting, collecting wet or dry and mulching. The patented Triplex System® guarantees the absolute filling of the 55 litre collecting bag. During mowing, the clippings are sucked in by a heavy flow of air, created by the rotation of movement of the precision blades. The Spirit 41 petrol rear roller lawnmower has a fresh design and appearance are both manoeuvrable and lightweight. Their revolutionary design introduces an aluminium skeleton chassis into the construction with tough ABS polymer covers and underdeck. This adds robustness and continues the Hayter tradition of producing tough, durable machines. 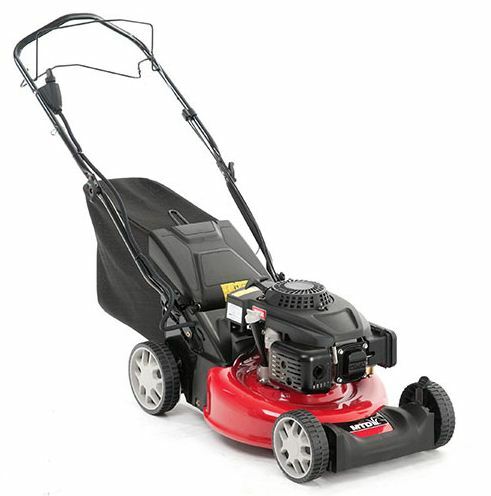 Powered by a Briggs & Stratton 125cc 4-stroke petrol engine this high quality lawnmower is comfortable and easy to use. Offering an excellent cutting performance with the 47cm cutting width and top class collection with the a 55 litre fabric collection bag with dust blocker which keeps dust within the bag, preventing it from blowing in the operators face. 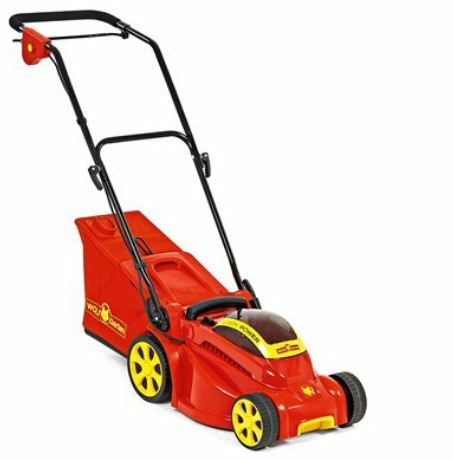 The cutting height can be adjusted using the central lever though 6 stages from 20mm-75mm so you can tackle longer grass or trim shorter grass blades. 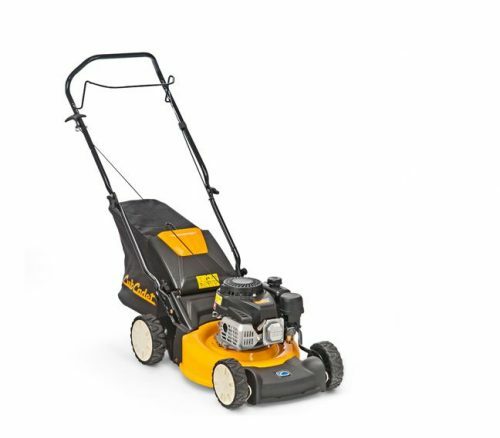 he Cub Cadet LM1 AP42 is the entry-level model in the Classic range, capable of mowing at a rate of 600 square metres per hour. 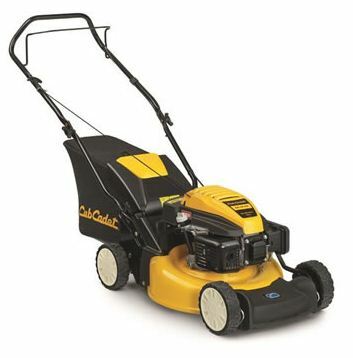 This push-propelled petrol lawn mower is powered by a reliable Cub Cadet OHV engine with recoil start. Delivering high efficiency combined with the usual high quality of Cub Cadet, the Classic LM1 AP42 features a rugged steel 42cm (17") cutter deck. The cutting height can be centrally adjusted via a single lever through six positions between 28mm and 92cm to suit conditions and the desired lawn finish. 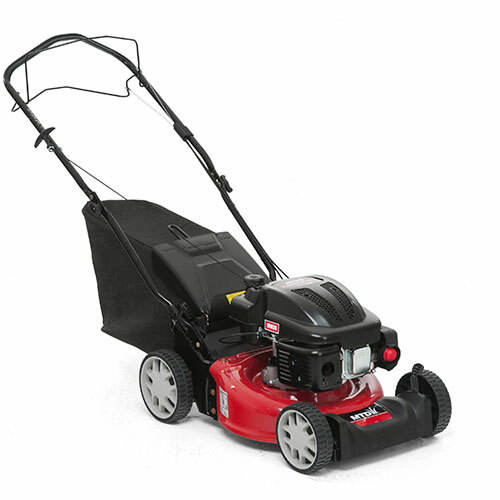 Anyone looking for a fast and efficient way to keep a larger lawn in tip-top condition should place this high-performance 53cm-cut rotary mower from MTD high on their list of potential purchases (it’s aimed at areas up to 1000m2). Driving the S53SPO is a powerful 159cc ThorX 50 four-stroke engine from MTD. Thanks to their overhead-valve positioning, these ultra-dependable power-packs offer a substantial reduction in noise, fuel-costs and emissions when compared to less advanced side-valve units. Ignition is easily achieved, via an easy-pull recoil starter. The MTD S53SPO lets the user select from three cutting-modes (bagging; rear-discharge; optional mulching), so you won’t be defeated by changing weather conditions and grass-type. Contributing further to flexibility-of-use is a six-step height-of-cut that’s quick-and-easy to set using only two levers (the range is from 28mm all the way up to 92mm). A power-driven machine, the MTD S53SPO Petrol Self-Propelled Lawnmower will come into its own on lawns and informal grass areas with rough sections and banks to negotiate. It benefits from a fold-down handlebar, so storage and transport won’t prove a problem; and it features a robust steel cutter-deck that works to maximise product-life. This model comes with a roomy 70-litre grass-catcher, so downtime caused by emptying stops will be minimal. 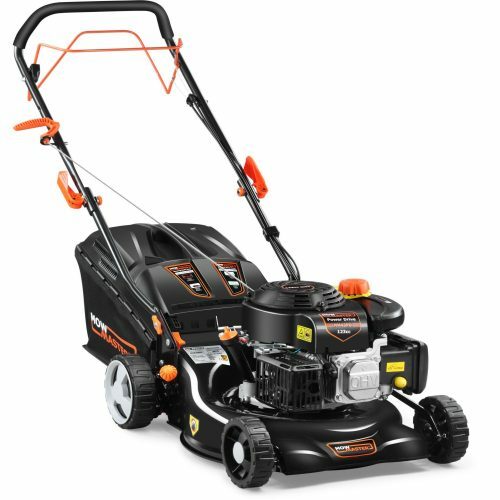 This 1600W Expert Lawn Mower features 4-in-1 functions: cutting, collecting wet or dry and mulching. The patented Triplex System® guarantees the absolute filling of the 55 litre collecting bag. During mowing, the clippings are sucked in by a heavy flow of air, created by the rotation of movement of the precision blades. This lawn mower is self-propelled at a speed of 1-3.6km/h. The CRR50SP self-propelled roller lawnmower is fitted with a powerful 196cm3 Loncin engine and a rear roller to give you that traditional stripe finish. 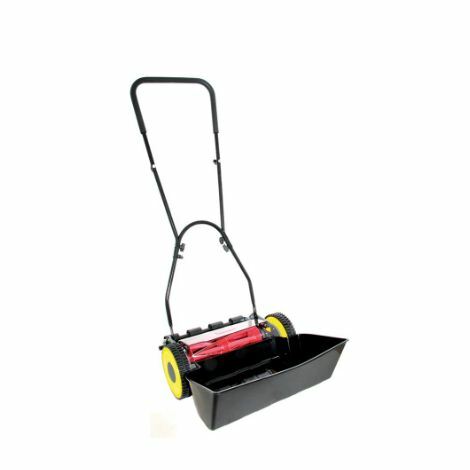 The CRR50SP rear rollers lawnmower is easy to manoeuvre so you can run over lawn edges, saving time trimming lawn edges. Fitted with a single height adjust lever, it is easily to adjust the setting form 17mm – 75mm to find your required height. 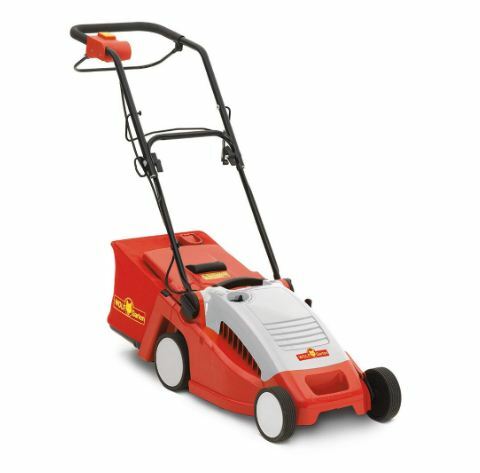 This model also has an easy fit mulch plug for mulching your lawn during drier conditions. Fold down handles for easy storage, and a 2 year domestic user warranty give you peace of mind. the Husqvarna LC247s is designed to offer fantastic performance, high-quality finish and excellent value for money. 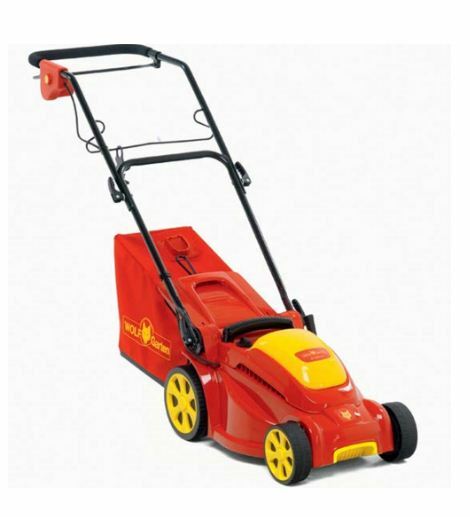 This homeowner petrol lawnmower has a 47cm cutting width. Discharge the grass clippings at the rear or collect them within the large capacity 55-litre fabric collection bag. This model has a cutting width of 46 cm / 18 inches, which, in combination with the powerful Cub Cadet 35 OHV 99cc engine, allows it to tackle an area up to 700 m2 per hour. You have the versatility of six cutting heights, with the choice ranging from 28 mm to 92 mm. This means you can get exactly the right finish for your particular lawn and the time of year.